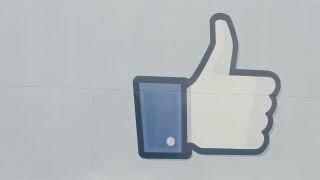 Facebook has switched off its photo facial recognition technology in the EU following a privacy probe from regulators. The service, which automatically suggests people to tag by scanning faces within the photos, was deemed a threat to privacy, according to the Irish data protection commission. Billy Hawkes, who led the initial investigation and subsequent audit, said Facebook had gone beyond recommendations by totally abandoning the face-rec tech in the EU. "I am particularly encouraged in relation to the approach it has decided to adopt on the tag suggest/facial recognition feature by in fact agreeing to go beyond our initial recommendations, in light of developments since then, in order to achieve best practice," he said. The social network faces a fine of up to £80,000 of it does not comply fully with recommendations in other areas, but said it was keen to comply with EU guidelines and maintain its own high standards. A Facebook spokesperson said: "As our regulator in Europe, the Irish office of the data protection commissioner is constantly working with us to ensure that we keep improving on the high standards of control that we have built into our existing tools."